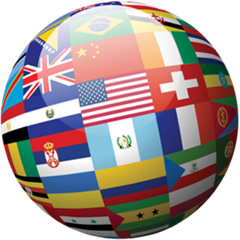 The Barral Institute and our International Affiliates conduct workshops worldwide. Click here to search seminars around the world by Curriculum, Title, Country, etc. or click on each country's link below. Some international seminars are taught in English and translated into the country's language. Click here to search for international seminars that are taught in English. Thanks for your teaching of VM1 in Singapore. Before your teaching, I thought Barral's way was too direct, using a lot of force and may be harmful to the viscera. Now I know Barral's force is just enough to counteract gravity. Barral's way of stretching visceral ligaments is quite effective. So I am now very interested in Barral's way. I am even planning to speed up my learning of VM.